So welcoming and friendly are the people of Minnesota that the rest of the USA gently teases them for it, referring to “Minnesota nice”, the term for that old world courtesy, consideration and folksy charm that has lingered on in this vast mid-Western state from the days of the earliest (mostly German and Scandinavian) settlers. And the owners of the best places to stay in Minnesota would all wish to be considered in this way too! Modern Minnesota – the name comes from the Dakota word for “clear blue water” – is known for its progressive political outlook, its relaxed pace of life, and also its rich cultural gifts to the USA and the world, not least spawning contemporary musicians as diverse as Bob Dylan and Prince. Numerous great writers have been inspired by the breathtaking prairie and woodland landscape from Laura Inglis Wilder (Little House on the Prairie) and Henry Wadsworth Longfellow (Hiawatha) to Garrison Keillor (Lake Woebegone Days). But outside the bustling, culturally-rich twin cities of Minneapolis St Paul most of all the “Land of 10,000 Lakes” is known for its gorgeous natural assets, including fabulous state parks and nature reserves which maintain the heritage of the native American tribes who gave the state its name. This all makes it a great place for families, explorers, ice-fishers, hunters, lovers and loners. The best places to stay in Minnesota reflect the state’s surprising contrasts, and of course, all are imbued with that spirit of hospitality, reflecting both the ancient native American harmony with the land, and the legacy of the days when European settlers first arrived in this harshly beautiful landscape in their covered wagons. 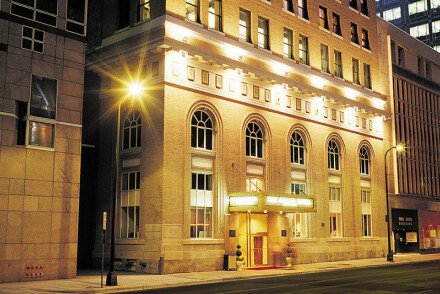 The Grand Hotel in Minneapolis offers contemporary style in a fabulous downtown location, plus there's an indoor pool, daily hosted wine reception and delicious food. Perfect for business or pleasure! Nothing here that fits the bill? Browse through our list of the best places to stay in Minnesota, or contact one of our friendly gurus for advice. This contemporary Kimpton hotel is in prime downtown location with understated elegance, indoor pool, and business and fitness facilities. Rooms provide a restful retreat with city views and 5-star luxuries. From Steak to Sushi and cocktails to Champagne, the choice during this city stay is yours! Sights nearby - Foshay Tower is only 250 metres away. Lively and luxury meets in this downtown hotel where hospitality and comfort fight for the top selling point. 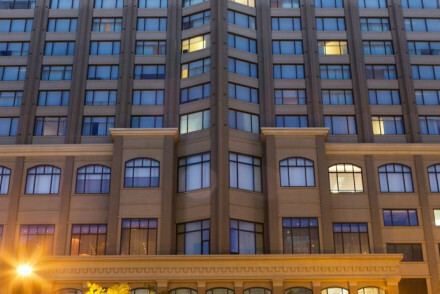 The large rooms boast city views, access to business and fitness facilities. A hot spot in town is The Cosmos for breakfast catch-ups and dinner dates. Great find in a buzzy part of town! Local markets - Minneapolis Farmers Market is twice a month, and if you are in town, be sure to pop along and see the local produce. Sights nearby - Minneapolis Institute of Art has a vast and varied range of art and artefacts to be feasting your eyes on.